Jump start your first year with Summer Academy! Now that you have been accepted to Virginia Tech, we know you are counting the days to come to Blacksburg. We understand and have good news. 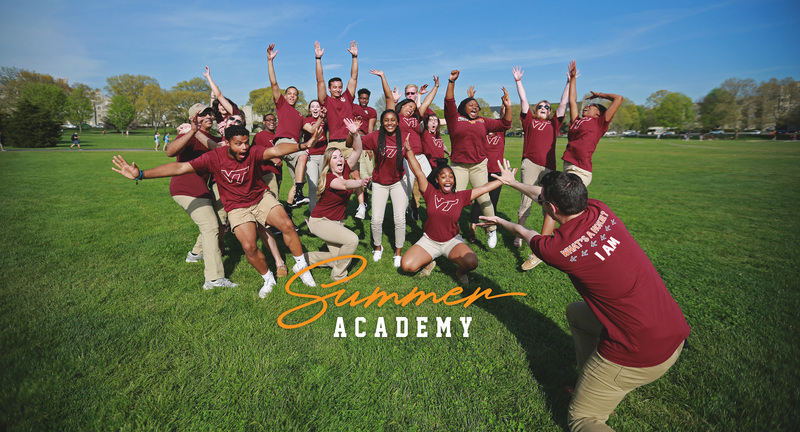 Summer Academy is designed specifically for incoming freshman and transfer students to come and experience campus life six weeks before the rush of fall. Eat in the dining halls, live in the residence halls, and earn six or more credits in much smaller class sizes, while making friends with other awesome Hokies.